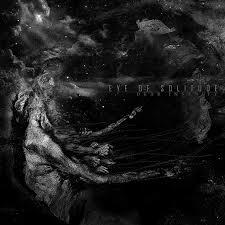 Eye of Solitude – Dear Insanity EP – Kaotoxin Records – Release: Out Now. Eye of Solitude were formed in April 2010 in London to bring forth a combination of doom and death metal. Last year’s “Canto III”, their third album, just narrowly missed becoming my favourite album of the year. Luckily fans didn’t have to wait a long time for new material, because now you can get your hands on the nearly forty minute long song “Dear Insanity”. This is a beast of a song. The soundscape intro might seem overly long, but it’s all needed to set the tone. Screams of anguish are softly heard, while you drift on a sea of tranquillity. This isn’t the kind of music that you would listen to during a drive and especially not with other people around. It brings the epitome of solitude. Then you finally get greeted by the abyssal grunt of Daniel as well as slow and heavy guitars. Classic funeral doom metal at its finest! Soon the lead guitar joins in with a weeping sound as if the loss of sanity is felt. It’s a testament to the band’s skill that such a sad sounding song can actually make you feel joyful because there is so much beauty to be found in the music. The band really takes its time to make you feel the full impact of the music. And then, fifteen minutes in, there is almost a sense of calm as the music completely turns around and the heavy guitars die out, to be replaced by peaceful music, even if it only lasts for a short while before the darkness temporarily descends again. I do feel kind of sorry for drummer Adriano because he sounds so eager to get in a lot more fills. As fans of Eye of Solitude know by now, the band really excels both at the heavy sound as well as the softer more melancholic sound and they love to suddenly shift gears between the two. This song is no different in that, as well as including the mourning chanting during the halfway mark. Played on full volume this will make your hairs stand on edge. The keyboards really carry this part and even continue on when the brooding guitars return, fitting perfectly instead of conflicting. I do have to make a note that at one point some parts do start to wear on you, yet the band seems to manage to switch the song around just in time. Nearing the end the music signals something that seems to be a light at the end of the tunnel, yet ever so subtly it slowly transforms into a state of acceptance of what is. Are there any bad things to be said about this EP? Well, like I said; some parts do tend to drag on a bit and I also question the need to turn it into one big song as there are actually several chapters, which would make it easier to at least be able to listen to sections of the song. Then again, that wouldn’t do justice to the song. Overall the sound quality seems a bit lower when compared to “Canto III”, but that’s really just a small gripe. This song is superb and required listening for EoS fans. Eye of Solitude have done it again. After the supreme “Canto III” album they have managed to dish out another offering of dread and despair. While I personally think it doesn’t quite reach the same height, this is without a doubt some of the best stuff they have done so far.